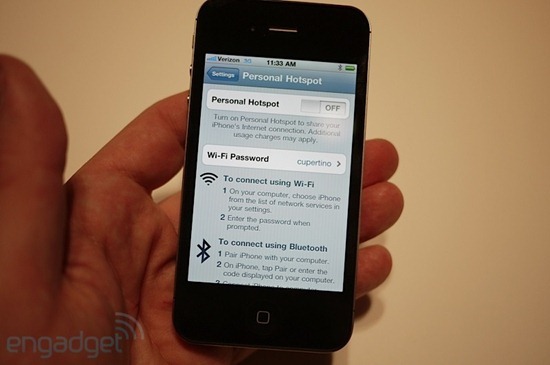 In an hands-on with the just announced Verizon iPhone 4, Engadget has spotted the “Personal Hotspot” feature in iOS 4.2.5, running on the said handset. The feature seems to be built right into the OS under Settings.app, as can be seen in the screenshot below. 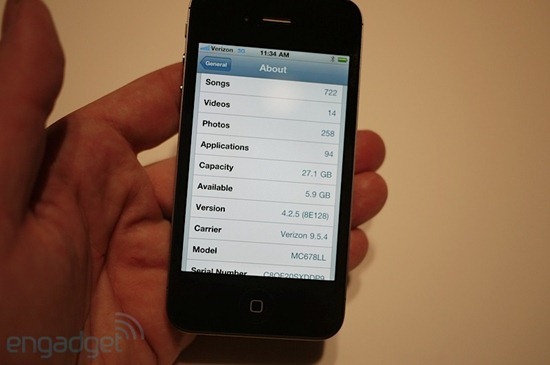 It is currently unconfirmed on whether or not this feature and OS version will remain exclusive to Verizon customers only, or will it make its way on GSM iPhone 4 as well. UPDATE: Here is the hands-on video !